Asphalt-based adhesive intended for laying SBS modified bitumen, SIS roofing, 90 lb. cap sheet and adhering wood fiber, polyisocyanurate and perlite insulation. 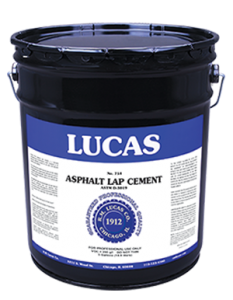 Manufactured from refined roofing asphalt, fibers and a blend of aromatic and aliphatic petroleum solvents.